Barwell Motorsport took its second 1 -2 of the 2017 British GT Championsip season in Round 4 after Phil Keen brought the #33 Minshaw / Keen Lamborghini Huracán GT3 home for the victory, ahead of the sister #6 entry with ex-BTCC driver Sam Tordoff at the wheel of the care he shares with Liam Griffin. Taking the final GT3 class podium spot was the #24 Macmillan AMR Aston Martin Vantage GT3, driven by James Littlejohn in the car he shares with Jack Mitchell. Pole-sitter Jack Mitchell, in the #24 Macmillan AMR Aston Martin Vantage GT3, led the field from the start and started to pull away from Jon Minshaw in the #33 Barwell Motorsport. Rick Parfitt, in the 31 Team Parker Racing Bentley Continental GT3, maintained his starting position in third place while Liam Griffin stayed in fourth position in the #6 Barwell Motorsport entry. The top four positions remained unchanged for the first thirty minutes of the race with Mitchell looking to establish a sufficient gap ahead of Minshaw to allow James Littlejohn to stay ahead of Phil Keen after the driver changes. Mitchell was one of the last GT3 drivers to pit for drive changes and had built up the 14-second lead he was looking for over Minshaw in the #33 Barwell Motorsport entry before Minshaw dived into pit-lane. When the #24 car emerged from the pit-lane with Littlejohn at the wheel, the gap to Keen in the #33 car had been reduced to less than seven seconds. As expected, Keen pushed hard and the gap between the leading two cars began to drop. With nine minutes left, Keen lined up Littlejohn going in to Oggies and took the lead of the race on the exit of Williams. 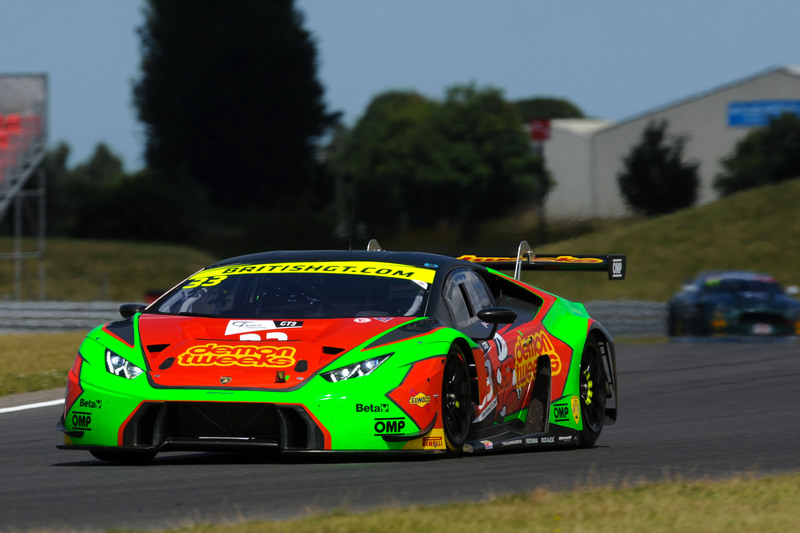 Having been passed by Keen, Littlejohn had to contend with pressure from the sister Barwell Motorsport entry, the #6 Lamborghini with Sam Tordoff at the wheel, with Tordoff taking second position with four minutes left. The GT4 category was led away from the grid by Alex Reed in the #51 Lanan Racing Ginetta G55 GT4 but, within the first six minutes, William Tregurtha in the #55 HHC Motorsport Ginetta G55 T4 had taken the class lead. Sandy Mitchell in the #100 Black Bull Garage 59 McLaren 570S GT4 held third position. 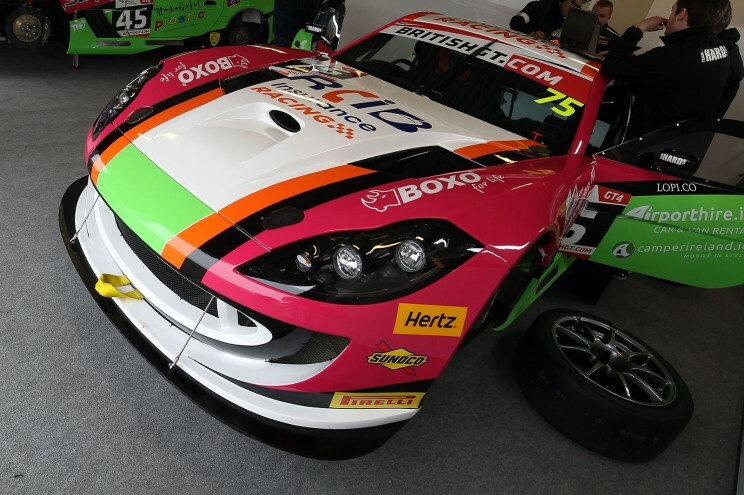 Positions remained unchanged after the driver changes but, with less than twenty minutes left in the race, David Pittard in the #51 Lanan Racing Ginetta came under increasing pressure from Stuart Middleton in the #55 HHC Motorsport entry. Middleton took the lead in the last five minutes and held on to take the class victory, just 1.48 seconds ahead of Pittard in the #51 car. Ciaran Haggerty in the #100 Black Bull Garage 59 McLaren 570S GT4 took the final podium spot in the GT4 class. 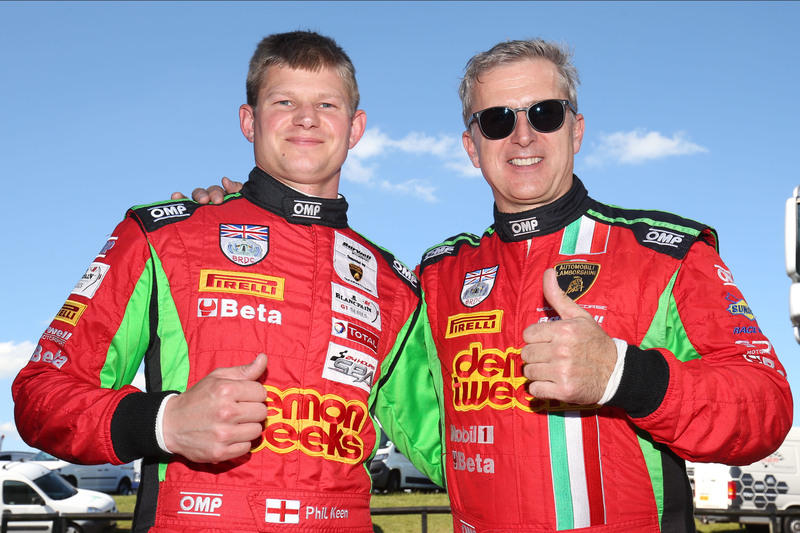 The win for the #33 Barwell Motorsport entry means that Jon Minshaw and Phil Keen pull out a 21.5 point lead over the second-placed Team Parker Racing duo of Rick Parfitt and Seb Morris in the GT3 Drivers Standings. 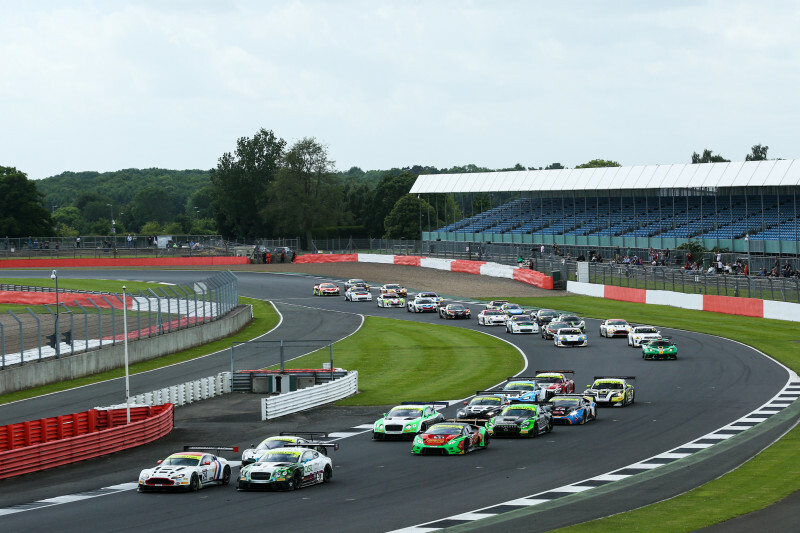 The lights go out for the second British GT Championship race of the day at 16:00. Addendum Post-race, the #31 Team Parker Racing Bentley Continental GT3 was given a 30-second penalty for a short pit-stop, dropping the Parfitt/Morris car to seventh and elevating the #30 AMDTuning.com with Cobra Exhausts Mercedes-AMG GT3 driven by Lee Mowle and Ryan Ratcliffe to fourth.